Ireland’s oldest festival will once again ignite the summer festival season when it returns to the Hill of Uisneach in County Westmeath on Bealtaine, Saturday May 5th. 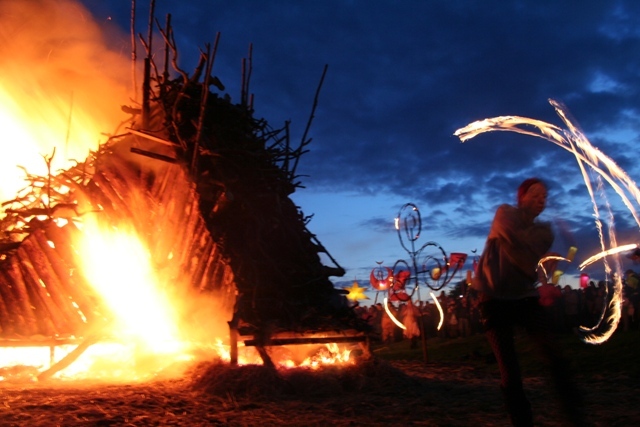 Festival of Fires will bring Uisneach (the ancient seat of the High Kings and once Ireland’s capital) to life with the very best in arts, culture, ceremony, heritage, crafts, debate and, of course, music. Following on from two successive sell-out stagings and seven nominations at the Irish Festival Awards 2011, the iconic festival will feature more music than ever before across five stages, and we are delighted to announce that among the first wave of acts for the event are BRESSIE, RYAN SHERIDAN, THE HOTHOUSE FLOWERS and KÍLA. A one-of-a-kind festival with a history stretching back thousands of years, Festival of the Fires will once again culminate with an amazing night-time ceremonial parade which will bring all festival goers to the summit of Uisneach where a signal Bealtaine fire will be lit. In turn, fires will be lit on hills around, with the flame passed throughout the country. Last year, over 100 fires were lit in response to the main Uisneach fire, which is lit at the exact centre of Ireland. The parade will be curated by the multi-award-winning LUXe group from Donegal, who have devised and created an illuminated parade unlike any other. The legendary Uisneach Warriors are also returning, and in greater numbers. Hundreds of Celtic horsemen and women will patrol the site and lead the parade. Re-enactments, ceremonies, a hollistic village and more also hark back to the festival’s roots. Close your eyes for a minute and you’ll be transported back to ancient times. A festival for the families, it is an event with something for all ages, free admission for children and special discounts for OAPs. The festival will feature hundreds of musical acts drawn from the world of folk, roots, reggae, traditional music and rock. The festival is delighted that the high king of modern Irish music is coming home to the original seat of the high kings. Mullingar icon BRESSIE will be performing what will be his biggest ever hometown gig at the festival. With his brilliance as a mentor on the the Voice of Ireland there for all to see on the TV, it’s on stage where Bressie truly comes to life, and this will be the only festival appearance for the The Blizzards man this summer. 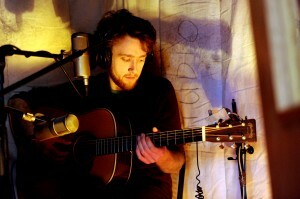 Another musical High King coming to Westmeath for his biggest ever show in the midlands is RYAN SHERIDAN. The current star of a European Heineken ad campaign is one of Ireland’s finest musical acts, and his appearance is another Festival of the Fires exclusive. Ryan has been a star on the rise and this summer he is set to go meteoric so this will be your best chance to see him and his ever-brilliant percussionist Artur Graczyk up close! Kings don’t get much higher than the holy pairing of the HOTHOUSE FLOWERS and KÍLA. Two of the most legendary bands to ever emerge from Ireland, they are bound to ignite the main stage of Festival of the Fires. 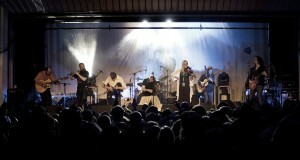 When organizers asked over 5,000 festival goers on Facebook who they wanted to see most in 2012, KÍLA was top of the list. This will be the legendary bands third successive appearance at Festival of the Fires! Liam O’Maonlai played solo last year and was so impressed he has brought the rest of HOTHOUSE FLOWERS with them, and both bands are also promising some special guests and surprise performances elsewhere on the hill. 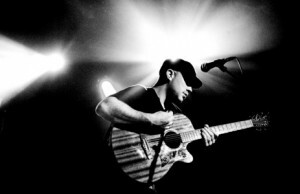 Two of the finest acts in the midlands today, PETER DORAN and ARROW IN THE SKY will also be appearing. Both acts are currently readying albums recorded in the shadow of Uisneach. Scores of players from COMHALTAS CEOILTOIRI EIREANN and hundreds of solo acts, bands and more will make the hill alive to the sound of music. We will also present a dedicated spoken word and comedy stage curated by the people behind MINDFIELD at the ELECTRIC PICNIC. A dedicated history and heritage stage featuring some of Ireland’s finest historians will detail the incredible history of Uisneach and be a focal point for heritage trails and tours, whilst the whole site will be dotted with the best in arts and crafts, children’s entertainment, Celtic sports displays, locally made food & drink in bespoke festival villages, arts trails, unique art installations and much more. 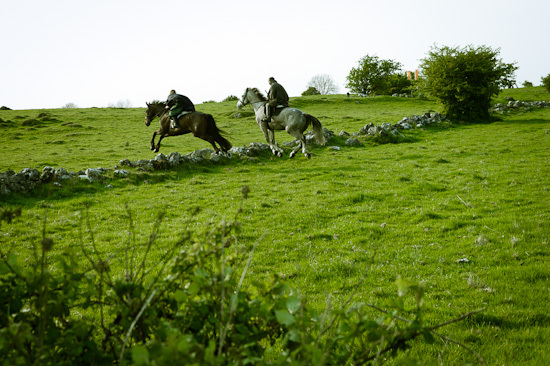 A bustling holistic village close to the hillside lake of Lough Lugh will be a haven of healing and tranquility… oh, and did we mention hundreds of horses? Festival of the Fires is proudly independent, sponsor-free and non-commercial. 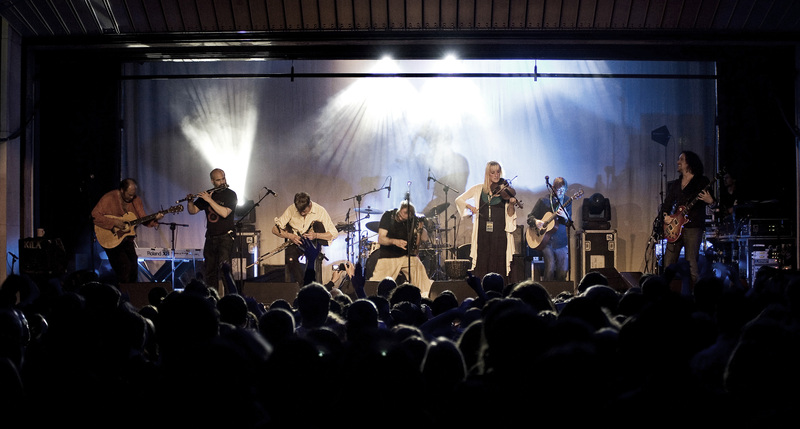 Nominated for numerous awards since it was rekindled in 2009, the Festival was most recently in the running as Best Green Event at the Irish Event Industry Awards, and was also nominated an unprecedented seven times at the Irish Festival Awards 2011. Lauded by the media, the Irish Times describing it as “a source of hope” whilst the Westmeath Examiner called it the “best festival ever staged in the midlands”. We’ll be announcing more stellar acts across our stages in the coming weeks, and a full heritage programme, camping details and much, much more will also be revealed. Keep checking here or on our Facebook page for up-to-the-minute news. Tickets for Festival of the Fires will go on sale THIS MONDAY, FEBRUARY 27TH from Ticketmaster outlets nationwide and from www.ticketmaster.ie at a special introductory rate of €39.50 (plus agents charges). Camping tickets will also be on sale and special concessions for OAPS will be on sale from the festival office. Keep your eyes open for the legendary Uisneach Warriors! This entry was posted on Friday, February 24th, 2012 at 3:49 pm	and is filed under Art and artists, Blog, Festival of the Fires Music, Fire Ceremonies and Parade, Get involved!, Uncategorized and tagged with Bressie, Bressie hometown, Festival of the Fires, Hill of Uisneach, Hothouse Flowers, Kíla, Liam O'Maonlai, Loughnavalley, Mullingar, Peter Doran, Ryan Sheridan, Ticketmaster, Uisneach warriors, Westmeath. You can follow any responses to this entry through the RSS 2.0 feed. Both comments and pings are currently closed.